Do you want to experience better performance and feel? Look no further. 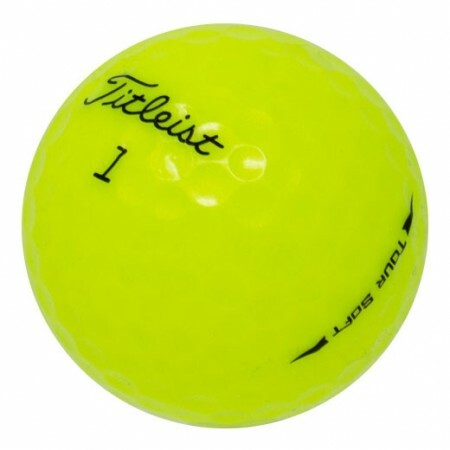 The all new Titleist Tour Soft Yellow has our highest core ever and a 4CE cover that provides soft feel, commanding distance and excellent short game performance. Titleist Tour Soft Yellow is the perfect ball for those looking for better performance and feel. Could of been less marked up. Outstanding shape, and of course I will be purchasing more as needed. Ordered 5 doz. balls and very happy with these MINT golf balls. NOT ONE BAD BALL IN THE LOT... Once again thanks guys. You are the best. Outstanding. Great price and the quality was actually better than I imagined. Give me a couple months to lose in the woods and water and I will be ordering more.